One of the biggest surprises to come out of GDC 2018 was the new mobile game, Dragon Ball Legends, from Bandai Namco. 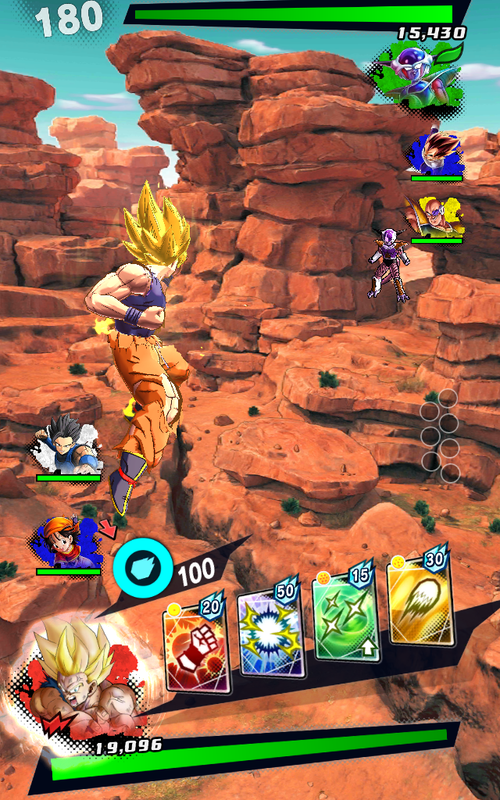 In a worldwide first, Dragon Ball Legends lets people pit three-against-three fighters from the Dragon Ball universe…against opponents scattered the world over in real time via Google Cloud Platform. During GDC 2018, I had the opportunity to sit down with Keigo Ikeda, producer for Dragon Ball Legends, and (through an interpreter) talk with him about the game, the development process for both it and integrating Google Cloud Platform, the new original character to the Dragon Ball universe, and how in-app purchases will be implemented. You can check out the official Dragon Ball Legends website, tweet them on Twitter, and like them on Facebook. You can also visit the official Bandai Namco website, tweet them on Twitter, like them on Facebook, follow them on Instagram, and subscribe on YouTube. 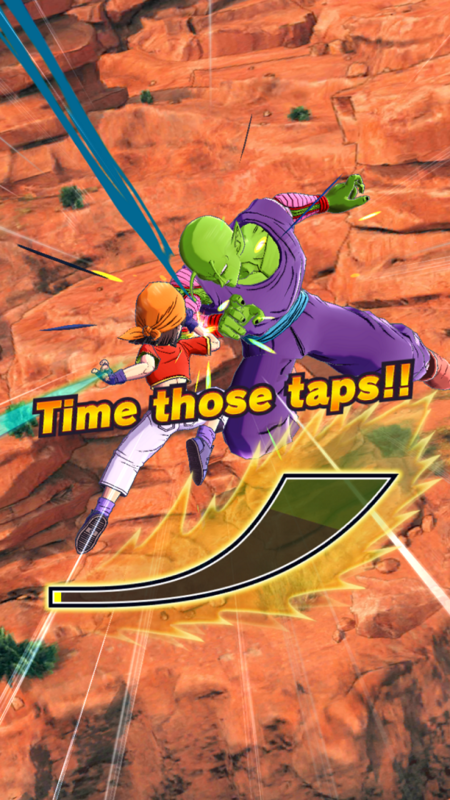 Finally, you can find my hands-on impression of Dragon Ball Legends from GDC 2018 here. Dragon Ball Legends is due to be released in Spring 2018 on Android and iOS platforms. This interview has been lightly edited for clarity and content. Operation Rainfall: My name is Quentin H. with Operation Rainfall, and you are? Keigo Ikeda: [I] am Keigo Ikeda from Bandai Namco Entertainment, and [I] am the main producer on [Dragon Ball Legends]. OR: What is Dragon Ball Legends, in general? KI: Dragon Ball Legends is the newest installment in the Dragon Ball series in terms of video games. It focuses heavily on providing for a global service – one [unified server] content that any user can play [on]. Another big feature of this game is that you can play with one hand – one finger, actually. So it doesn’t matter where you are or what you’re doing – you could be eating dinner, you can be drinking something, you can be at home, it doesn’t matter – and [you can] play this game. OR: [Dragon Ball Legends] is being developed in conjunction with Dimps [Corporation], who made the [Dragonball] Xenoverse series. How did this project first come about? 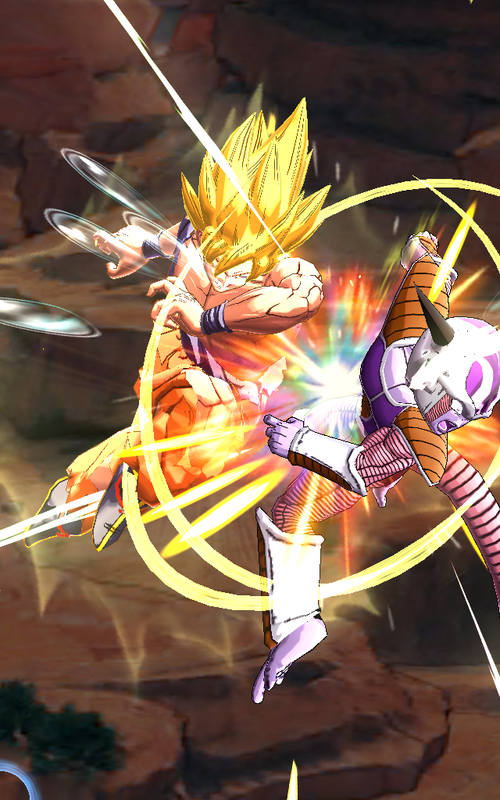 KI: So, we understand that there are tons of other companies that previously worked on Dragon Ball in general, but as Dimps had previously worked on Xenoverse, they really stood out with the fact that they had focused so much on high-quality, high-detailed 3D graphic movements, and also those minute details that fans can catch. [They also] really appreciate the game in general as something as part of [the] Dragon Ball universe. And we really wanted that sort of love in this game. So [they] really stood out for us. OR: You can play [against] anyone worldwide in this game using Google Cloud Platform. At what point in the development process did Google come on board? Was it something that was intended from the beginning? KI: So originally, Google was not part of the development at all. Our intention was to create a PVP environment where users would be separated by servers and regions, so they wouldn’t have to worry about latency and such. Because global PVP honestly wasn’t even an option at that point. But we found out that Google had this platform available during development and that’s where we started implementing it so that we made sure that Dragon Ball [Legends] could be enjoyed on a global scale. OR: Today [March 20, 2018] I was able to try out six characters – Super Saiyan Goku, Pan, Piccolo, Vegeta, Freiza, and Nappa. How many characters do you anticipate being at launch? KI: Unfortunately, we can’t give you a specific number – actually, we’re still trying to decide on it too. But we’re just going to tell you that it’s literally just a glimpse of what will be available at launch. And we’re also planning on launching more as the game progresses. During GDC 2018, I was only able to get my hands on with six playable characters, who you will make into your battle team of three per side. (Images courtesy of Bandai Namco). OR: Will [the characters] span from all the Dragon Ball [series] – from Dragon Ball all the way through [Dragonball] Super? KI: We’re considering all sagas of the Dragon Ball universe, including Super and of course the first Dragon Ball series as well. OR: Of course, there is a new Dragon Ball fighter designed by Akira Toriyama present as well. Why bring in a new character to the series in [Dragon Ball Legends]? KI: Talking a bit about the game itself, first. Besides the PVP mode, we have two other single player modes that will be just as important as the PVP mode. One of them is the Dragon Ball re-enactment mode, where you can re-experience famous and iconic moments of the saga. So you can feel as if you’re part of the history. And the other mode is the original game story mode, where you will be experiencing the world of Dragon Ball through the eyes of that original character and in order to create a new, refreshing feeling of Dragon Ball. Basically, we wanted to create content without making it feel like something that all the fans have already seen. We needed a new taste in character and how they just adapt to each other. So obviously, we have the famous characters, but that one new character – so far- is really giving us a chance to give more [of an] experience to the users. Dragon Ball Legends features a new original character by the legendary creator of the Dragon Ball universe, Akira Toriyama. (Image owned by Bandai Namco). OR: Is there any chance of this [new] character appearing in other parts of the Dragon Ball universe – such as games or anime? 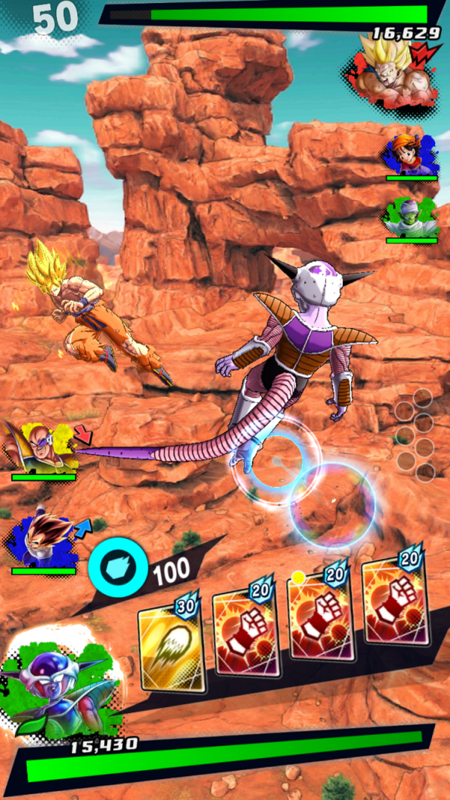 Special attacks are done in Dragon Ball Legends via a card system, as seen at the bottom of the above image. (Image courtesy of Bandai Namco). OR: Special attacks are done via [a] card system, and this is something of a first for the game series. How did this card system become developed? KI: Originally, we were creating a pretty hard-core fighting game that was available on the smartphone. First phase – we created a beta version of the game where you can play it by placing the smartphone sideways with both hands. But the controls were really fidgety and distracting. We realized that ‘We just want to play on console if we’re going to do something of this sort, and the users would definitely think that too.’ So this was out of the question. [In] the next phase, we tried putting it back into a portrait style where you can hold it with one hand. But the game style itself we didn’t really tweak. So it was still complicated and required lots of pushing and reaction-based gamestyle. That just hurt our fingers. We thought we were going to get arthritis from that. That was just not plausible. It wasn’t something you’d just play in a relaxed place. So that was also abandoned – not exactly a bad decision, but just something we couldn’t really move on with. So inevitably, we had to get rid of, not unnecessary, but a lot of the complicated moves that required extra pushes, taps, and swipes that might prolong the game time or make specials more difficult. And so in the end, we noticed that we could play the game far more relaxed with the card system by having a tempo of sorts so you don’t have to be constantly focused. “Our objective in creating a worldwide player-versus-player game was a difficult objective, and it had nothing to do with Dragon Ball. OR: Do you have a favorite fighter so far in [Dragon Ball Legends]? KI: Originally, [I] loved Vegeta out of the entire series. But as [I] worked on the game, I sort of had a bit of fetish for Nappa. OR: It was mentioned during the [Bandai Namco] presentation that there will be tournaments. Can you tell me a bit more about that? KI: So we created an environment where players can fight anyone in the world as long as they have the game. So our next step, honestly, was to make it more personal- so the players would feel more enthusiastic about the battling. So we figured that the easiest way to do that – when you’re fighting someone in front of you, when you can see [your] opponent’s face. So the tournament will be held multiple times around the world – not just the US, maybe the Japan and Europe, other places in Asia as well- and it won’t just end there. And we will keep expanding and providing more tournaments as the game progresses. As you collect dragon balls via the card system, you will be able to unleash a Rising Rush ability to wipe out your opponent. (Images courtesy of Bandai Namco). OR: This may sound like a silly question, but will I be able to play against my friends in [Dragon Ball Legends]? KI: Yeah, we’ll have a specific friend-battle system where you register your friends ID, and you can just invite them to a private room and play any stage you want against your friend. The live demonstration that we did today was done through the friend-battle system. 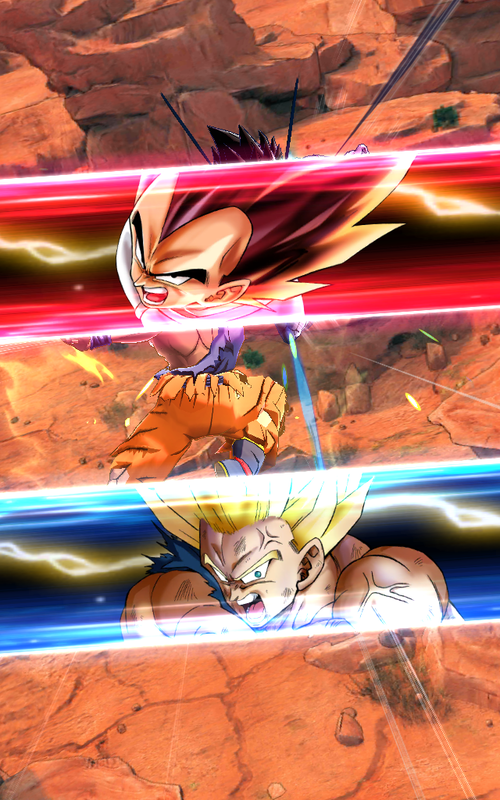 OR: What has been the biggest challenge so far in developing [Dragon Ball Legends] compared to other Dragon Ball games [you’ve] been involved with in the past? KI: Honestly, in this case, it’s not just about Dragon Ball games. Our objective in creating a worldwide player-versus-player game was a difficult objective, and it had nothing to do with Dragon Ball. We understand that we would always be separated by regions or servers, so that was just ‘done’ practically. In this case, it was something entirely new. We were literally pioneers in this in any genre that we know of. You can also clash against your opponent, forcing you to tap the screen repeatedly in order to win the standoff. (Image courtesy of Bandai Namco). OR: Will there be in-app purchases for [Dragon Ball Legends], and how will they work in conjunction with the gameplay? KI: So we’re still actually trying to finalize the designs in regards to in-app purchases. Yes, there will be in-app purchases. As to content and any gameplay influence, we will definitely make sure that the gameplay itself is not to be influenced directly, but rather the monetization part maybe speed-up parts of the game for other players. So we’re definitely not going to lock out certain content that free-to-play users are going to– they will have the same access to the same content. It just will change how fast you get it. OR: So it won’t affect the balance of the gameplay in PVP? KI: No, it will not. And even the same character will be acquired through multiple ways- not just purchased. We will make sure that there is more than one method in acquiring [a character]. OR: Thank you very much, I appreciate you taking the time to talk with me. Who do you hope to be able to fight as in Dragon Ball Legends? Will you want to participate in one of the worldwide tournaments?